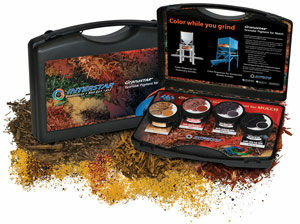 Interstar’s color laboratory offers customized color matching for the entire concrete industry – brick, block, paver, mortar and ready mix. Our services do not end when your matches are complete. 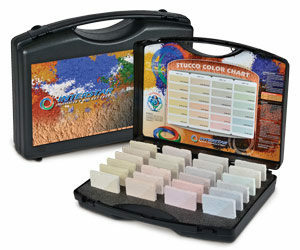 Our color technicians are always available to assist you with questions about color formulas, mix design, curing or raw materials. 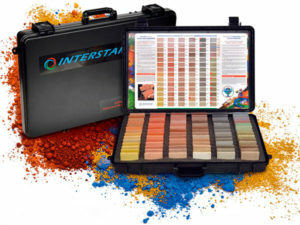 Interstar’s lab staff is comprised of experienced color experts who have an average of eight years of experience at Interstar. Their know-how and expertise will help you succeed. 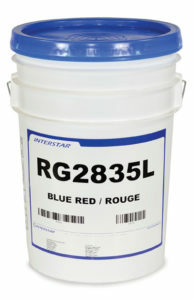 Interstar Liquid Colors are pure iron oxide pigments designed to be used specifically in integral coloring of cementitious materials. Interstar Colors are certified ASTM C979 for integral coloring. Mortar Colors are pure iron oxide pigments designed to be used with all cementitious materials, including Type N, S, M or O strength masonry cement or Portland cement and lime mixtures. The pre-measured units of Interstar Mortar Colors provide uniform color control with the flexibility of utilizing local masonry and/or Portland and lime cements to achieve the proper strength and mix design for brick, block stone unit construction. 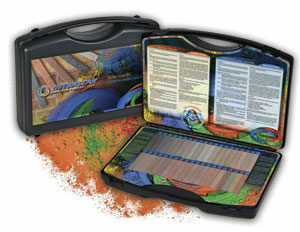 Interstar Colors are certified ASTM C979 for integral coloring. 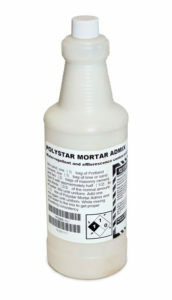 An integral polymer admixture for water-repellency and efflorescence control in mortar. VSA-10 is specially formulated to increase the adhesiveness of mortar, thereby making it easier to place artificial and natural Stone Veneer. VSA-10 is a high-adhering mortar admixture that allows stones to be placed on vertical surfaces without requiring someone to hold them until the mortar sets them in place. 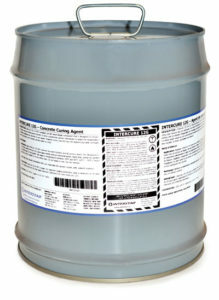 VSA-10’s unique properties allow you to finish the job faster, saving time and money. 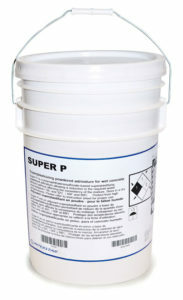 Super P is a polynaphthalenesulfonate-based superplasticizing powdered admixture that allows for a reduction in the required water without affecting the consistency of the mixture. 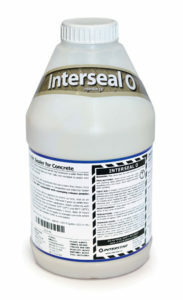 Pavestar QPS is an admixture made for the reduction of efflorescence and absorption in no-slump concrete units. 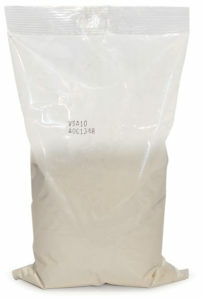 Its densifying effect allows a reduction in the required water amount without affecting the consistency of the mixture. 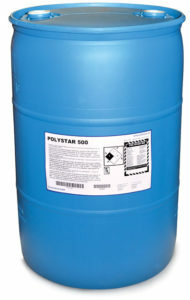 Polystar 500 is a polymer-based admixture made for the reduction of efflorescence and water absorption in no-slump concrete units. 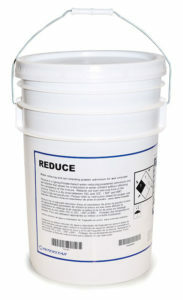 Polystar QS is an admixture made for the reduction of efflorescence and water absorption. Produces a swipe effect in no-slump concrete products and its densifying effect allows for a reduction in water without affecting the consistency of the mixture. 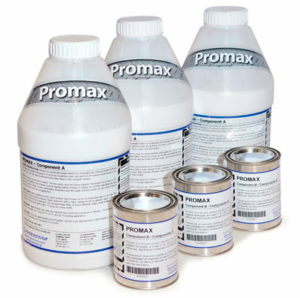 AGmax Anti-Graffiti Sealer is a high performance, water-based polyurethane sealer formulated to provide excellent graffiti resistance. 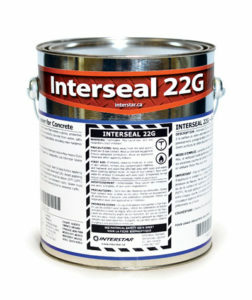 It seals the concrete to prevent graffiti from bonding to the surface, making removal quick and easy. 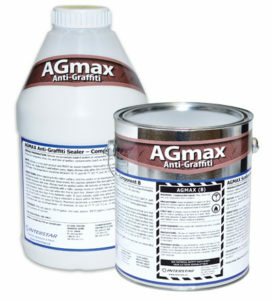 AGmax is UV-stable, environmentally friendly and easy to apply. Interstar’s Durmax sealer is an industrial strength sealer that creates a highly durable, abrasion-resistant, high-gloss premium finish. 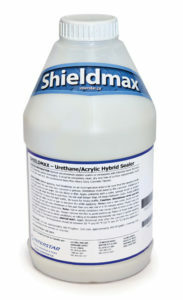 Durmax offers enhanced protection against oils, chemicals, detergents and the wear and tear of constant heavy traffic. 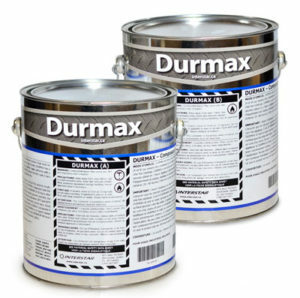 Durmax enhances the beauty of colored concrete while providing maximum protection to concrete surfaces at an affordable price. For indoor use only. Specially formulated for use in garages. Interstar’s Guardmax sealer protects against oils, chemicals and detergents while enhancing the beauty of indoor colored concrete. 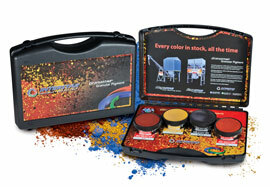 It is very durable, abrasion-resistant and provides a medium-gloss premium finish. 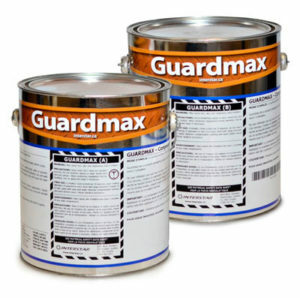 Guardmax is easy to apply and its water-based formula contains no VOCs. 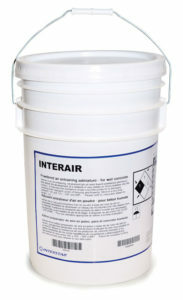 Intercure 12G is an acrylic-based compound designed to ensure the proper curing of freshly-poured concrete. It forms a protective surface membrane to delay the evaporation of moisture, allowing the concrete to cure slowly. Properly-cured concrete has the highest possible strength, making it stronger, more durable, and less likely to crack. ISS is an environmentally friendly, penetrating, silicone sealer for concrete that offers incredible water repellency without leaving surface film, sheen or gloss. It is completely invisible when dry – concrete surfaces look untreated and completely natural. 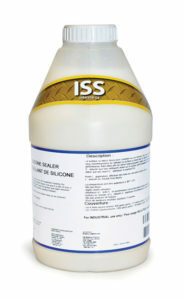 ISS is water-based, low-VOC and breathable. 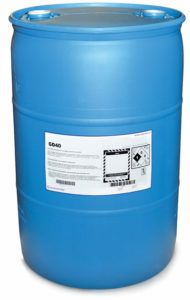 Its unique properties keep water out while allowing trapped moisture to escape. 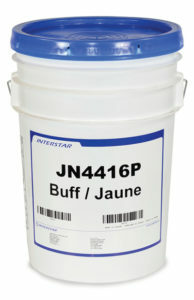 It reduces the chances of efflorescence, staining, and spalling and protects against freeze-thaw cycles. ISS is ready-to-use; simply apply with an ordinary low-pressure garden sprayer.